Manufacturers & Exporters of Hastelloy C276 Pipes & Tubes, Hastelloy UNS N10276 Seamless Pipes & Seamless Tubes, Hastelloy C276 Welded Pipes & Welded Tubes in India. With the help of latest technology and sophisticated, we have been able to offer a wide range of high quality of Hastelloy C276 Pipes & Tubes to our esteemed customers. We offer to our clients a wide range of Hastelloy tubes that comprises Seamless Hastelloy Tubes, ERW Hastelloy Tubes, Welded Hastelloy Tubes and CDW Hastelloy Tubes. Our range of Hastelloy Pipes includes Seamless Hastelloy Pipes, ERW Hastelloy, Pipes, Welded Hastelloy pipes and fabricated Hastelloy Pipes. 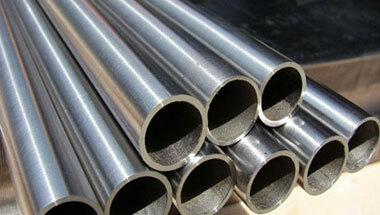 Neon Alloys one of the manufacturer & supplier of hastelloy c276 pipes & hastelloy c276 tubes in india. The offered pipes & tubes are used for manufacturing digester and bleachers that are used in paper pulp and paper making industry. In addition to this, these products are used for processing impure phosphoric acid. Our product includes tubes and pipes, Hastelloy C276 Pipes, Hastelloy C276 Tubes, Hastelloy C276 Seamless Pipes & Tubes etc. These products are available at best possible prices which is another important feature exhibited by our products range. Hastelloy C276 Pipes, Hastelloy C276 Tubes, Hastelloy C276 Werkstoff Nr.2.4819 Seamless Pipes & Tubes, Hastelloy C22/B2 Welded Pipes Supplier, Hastelloy C276 EFW / ERW Pipes & Tubes Exporter in India. Peru, Colombia, Bahrain, Chine, Morocco, Egypt, UK, Thailand (Bangkok), Uganda, Dubai, Houston, Kuwait, Sri Lanka, Russia, Angola, Germany, Africa, South Africa, Turkey, Algeria, Ghana, Azerbaijan, Brazil, Italy, UAE, Tunisia, Australia, London, Cameroon, Democratic Republic of the Congo, Ethiopa, Kazakhstan, Sudan, Nigeria, Mexico, Israel, Saudi Arabia, United States, Mozambique, New Zealand, Jordan, Venezuela, Argentina, Iraq, Canada, Iran, Trinidad and Tobago, Indonesia, Malaysia, Vietnam. Jerusalem, Johannesburg, Benin, Dammam, Conakry, Mecca, Kinshasa, Byblos, Zaria, Omdurman, Cairo, Maputo, Luanda, Beirut, Singapore, Soweto, Colombo, Casablanca, Ouagadougou, Addis Ababa, Data from the UN, Fez, Harare, Dar es Salaam, Bulawayo, Bamako, Accra, Nairobi, Antananarivo, Kolwezi, Kampala, Maiduguri, Giza, Kano, Brazzaville, Abu Dhabi, Sharm el-Sheikh, Durban, Port Elizabeth, Lagos, Abidjan, Mogadishu, Jeddah, Cape Town, Kaduna, Lusaka, Yaoundé, Algiers, Istanbul, Riyadh, Port Harcourt, Manama, Cairo, Khartoum, Subra al-Haymah, Mbuji-Mayi, Muscat, Alexandria, Amman, Rabat, Pretoria, Tehran, Ibadan, Dubai, Doha, Lubumbashi, New York, Aqaba, Tripoli, Bethlehem, Douala, Tel Aviv, Dakar, Hong Kong, Freetown.